We're very excited to be a Visual Studio 2017 launch partner. To celebrate, we want to help you get started building some great Windows Store apps with our Universal Windows UI control products. Our user interface control products offer features you won't find anywhere else. All of our more recent control products have been designed with codebases that are shared as much as possible between WPF and Universal Windows. This makes it easy to share code and technical know-how when you have Actipro controls in applications using each platform. Buy licenses for qualifying Actipro WPF UI control products and get the related UWP control product licenses for free, including free subscriptions! 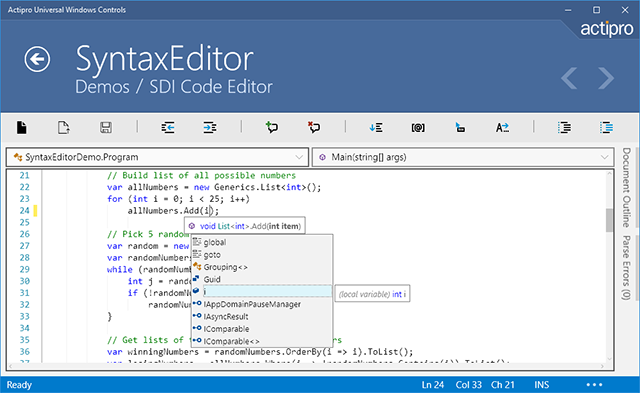 As an example, this means that if you would like to buy our WPF SyntaxEditor control with its .NET Languages Add-on, follow the steps on the Offer Details page and we'll add the Universal Windows versions to your account with the same subscription period as your related WPF subscription. All for free! This Offer is for Our Existing Customers Too! We don't want to leave our valued existing customers out in the cold. If you have an active WPF controls subscription for a qualifying product, you also can follow the steps on the Offer Details page to receive your free controls too! We are doing final testing on the 2017.1 versions of our products now and they will be launching soon. Our 2017.1 WPF controls have new Editors that are based on the work we did when building the UWP Editors. We've implemented many new features, made them more lightweight, and added new editors too. The 2017.1 version also officially launches our new Grids product, which includes a rewritten PropertyGrid control that is much faster than the old version and easier to use and customize. Grids also has brand new tree controls, including a TreeListBox and TreeListView. 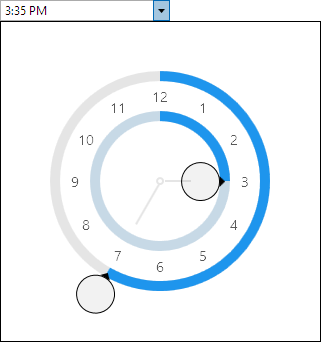 Best of all, these controls will be launching on UWP in our 2017.1 release of the UWP Controls too. This offer is only good through July 7, 2017, so act fast by following the directions on our Offer Details page. Please contact our sales team if you have any questions! Our WPF Docking/MDI control product allows you easily add docking tool windows and a MDI (multiple document interface) to your app, one that mimics Visual Studio. We have two built-in MDI options: tabbed and standard. 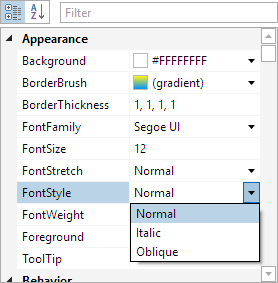 Tabbed is similar to the style that current Visual Studio versions use. However some customers still prefer to use the classic windowed style of MDI that we call "standard MDI". There is no built-in standard MDI mechanism in WPF, but we provide a complete implementation in Docking/MDI with all the functionality like cascading and tiling that you would expect. We just had a customer ask how they could animate a standard MDI window into place when it's first loaded. The animation we defined quickly fades in the window and "pops" it into place. This animation matches the animations we use elsewhere in the product such as when dock guides appear while dragging docking windows around. 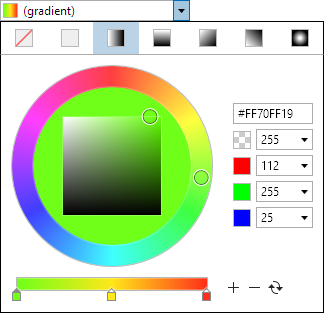 Download our WPF Controls and give it a try! 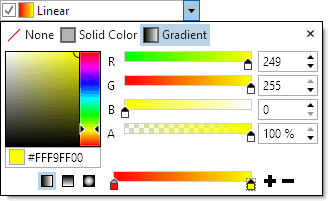 Today we published a WPF Controls maintenance release v2016.1 build 635. The updates are described in detail in this post. It is highly recommended that you download this maintenance release since it fixes several issues that popped up with the Docking/MDI product and makes several other minor enhancements as well. We are now at a stage where we are about to start prepping our codebases for the upcoming 2017.1 version. Over the past few months, we've been working on an array of new and revised controls for that version, and will begin merging all that in over the coming weeks. Look for a beta testing request announcement in very early 2017. Everyone, please have a wonderful holiday season and happy new year! Very large maintenance releases of our v2016.1 WPF, Universal Windows, and Silverlight controls have been released and are now available for download. While there are an enormous number of minor updates and bug fixes made across the various UI control product range, the following lists the major updates that were made. These Actipro maintenance releases update our UI controls to support the Visual Studio 2017 RC version that was released on Wednesday. Congratulations to the Microsoft teams involved in delivering the next major version of our favorite IDE! A new event has been added that is raised when dragging docking windows over a drop target. Handle this event to specify that certain dock guides should be hidden that normally would be visible. 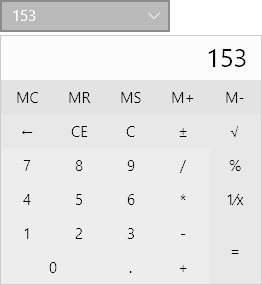 A new Calculator control has been added that provides a familiar calculator interface to interactively calculate numeric values. 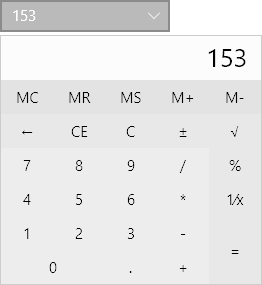 A new PickerKind property is available on DoubleEditBox and Int32EditBox to allow for optional usage of the calculator in the popup picker. 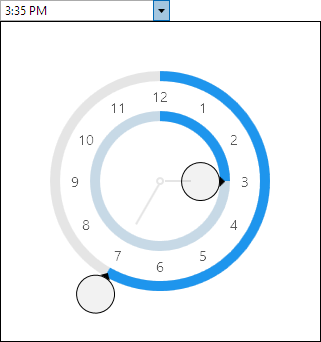 New edit box and picker controls have been added for the Int16, Int64, Single, and TimeSpan types. A new property has been added that determines the scenarios (e.g Enter key press, etc.) in which a value commits when editing in an edit box. 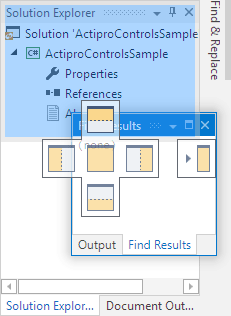 A new property has been added that determines the wrapping behavior used when spinning past a minimum or maximum value in the active part in an edit box. Added the DoubleEditBox.IsNaNAllowed, IsNegativeInfinityAllowed, and IsPositiveInfinityAllowed properties, which allow entry of those related values. 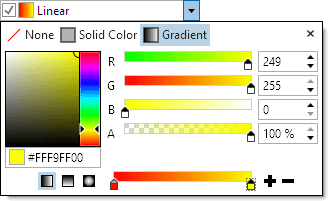 Improved Int32EditBox to support hexadecimal formats. Improved GuidEditBox to support multiple formats. Added UI automation peers for numerous controls. 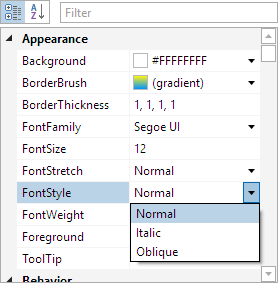 The MaskedTextBox control added a default context menu and the gradient brush editor added a Remove Stop button. The TreeListBox control and its derivatives added a powerful data filtering mechanism that uses string, boolean, and predicate-based logic to filter items. 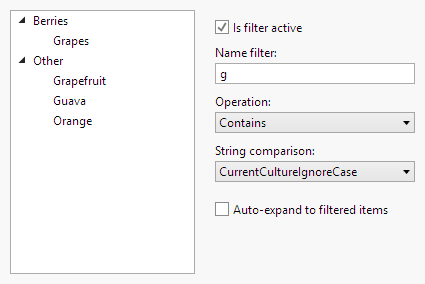 A new sample that demonstrates filtering was also added. 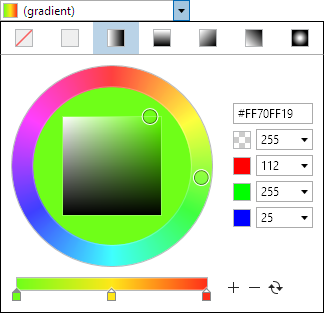 Added the ZoomLevelIncrement property that controls the mouse wheel zoom step amount. Added several UI automation peers for internal SyntaxEditor components. 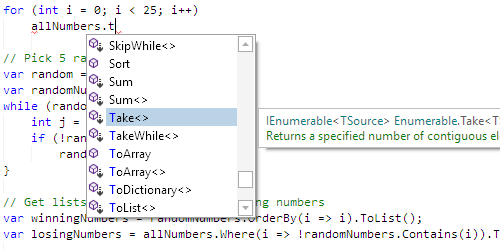 Improved the IntelliPrompt completion list to try and keep the item matched by typing scrolled to the middle. 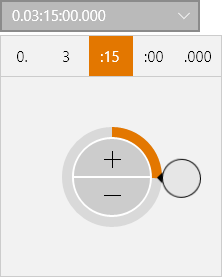 Added a UI automation peer for the RadialSlider control. 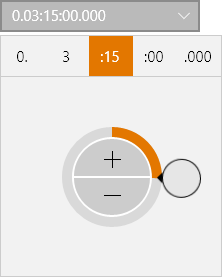 Updated the RadialSlider control to support more keyboard shortcuts.